Is it possible that I only have ONE more thing due before the end of the month? (whew). Happily almost made it. The more I think about it the more I'm going to be really happy to be done actually taking courses and sitting in a classroom...I'm ready to do research in Qatar. And write. And be done. More than ready. And even though it's not spring yet, today's Place of the Day reminds me of spring. And thanks to a friend, I'm happy to highlight Japan! 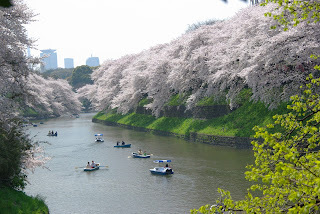 The pursuit of hanami, or cherry blossom viewing, happens in many parks and temple gardens in Japan. 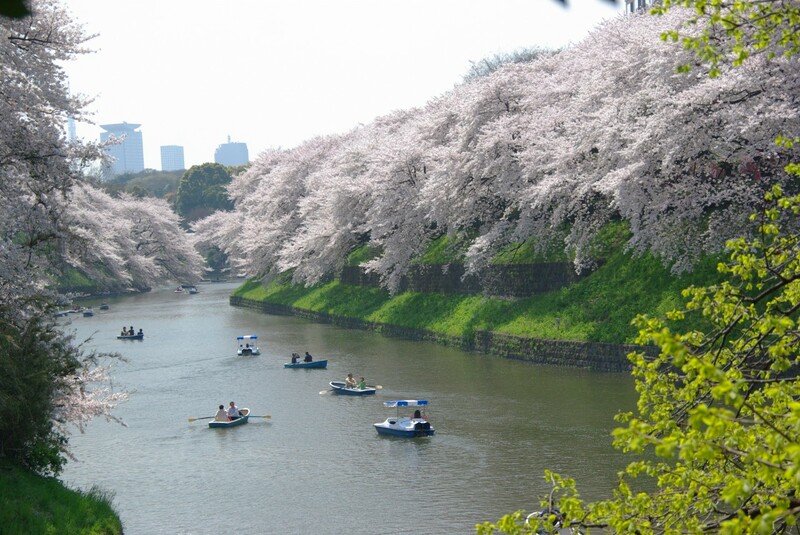 Rumor has it that nighttime hanami viewing includes parties and sake, but you'll have to visit in order to find out about that. Be sure to visit Yoshino Mountain, not far from Nara and Kyoto for the most fun. April is the best time...everything will be blossoming. Enjoy!